A game-tying homer in the ninth forced extras, and Coco Crisp's 12th-inning walkoff single closed the door on an unexpected four-game series sweep of the Yankees for Oakland. The performance had Yanks fans wondering if happy days would ever return and the rest of the American League East breathing a huge sigh of relief. 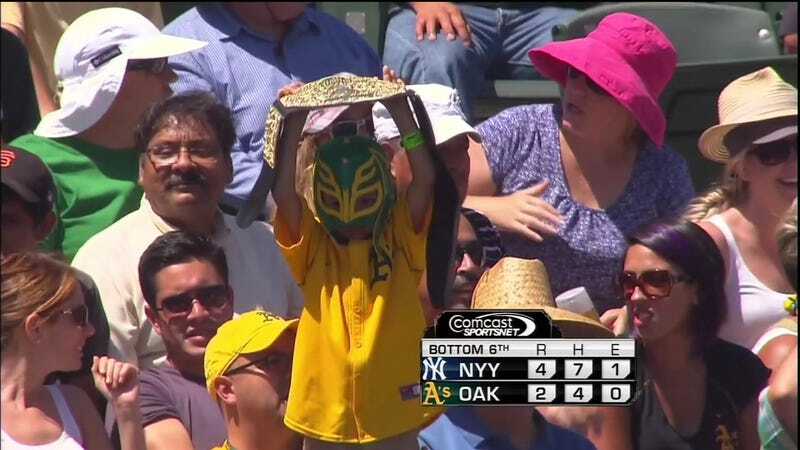 For this young Rey Mysterio fan, though, it was just another day in the park to be distracted by a fake sport while a real one took place on the field in front of him.